by Jerome Konen -- The white continent of Antarctica has beckoned the longing of scientist and explorers since ever. 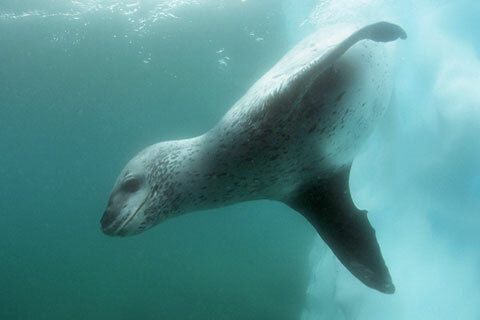 A breathtaking diving expedition has brought me face to face with the predator of the Antarctic Peninsula. by Jerome Konen -- Logbook entries with pictures of the photography and dive expedition along Iceland's magical coastline and over some of the most harshest highland tracks on earth, following fertile grounds and mystic fairytales. by Jerome Konen -- Logbook entries with pictures and videos of the breathtaking diving expedition on the frozen continent.